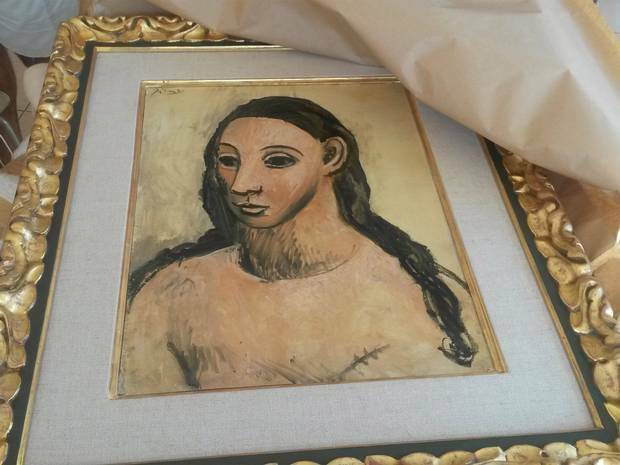 The painting, Head of a Young Woman, by Picasso drew the attention of French officials when an attempt was made to export the painting on Thursday 30th July. The Spanish authorities had previously refused to allow the painting to be exported. The painting is valued at more than €25 million and is thought to be owned by the former Santander banker Jaime Botin. In December 2012, an export demand was rejected by the Spanish culture minister to move the painting to London. They demanded that the painting was of cultural interest and not allowed to leave the country. It was found by the French on Botin’s 64m yacht The Adix. When confronted about the painting, the captain presented 2 documents relating to it. One of these was in fact a Spanish court judgement from May 2015 ordering that it not be taken out of the country. Botin was not on board and neither was the demand for transportation in his name. He had hoped to take it London and put it up for auction at Christie’s. The French who seized the painting are currently awaiting an official request from the Spanish to return the painting.